Frida Kahlo Lookalikes Set Record in Dallas Museum-goers attempted to set the record for most people dressed up as Frida Kahlo at the Dallas Museum of Art Thursday night. 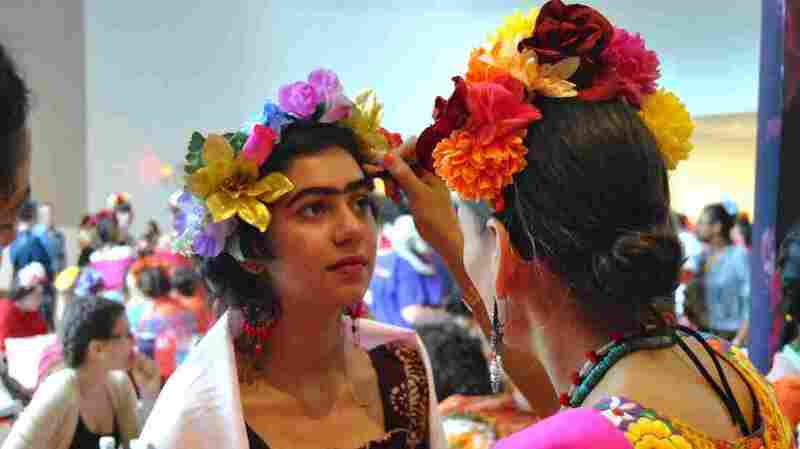 Elisa Saldivar gets a Frida Kahlo-inspired look, courtesy of Reina Rebelde. The makeup line was helping participants in the record attempt get ready before the final tally. A floral-printed dress (knee length), a shawl (red or pink), artificial flowers in your hair (three, at a minimum), but most important of all, of course, was the unibrow. 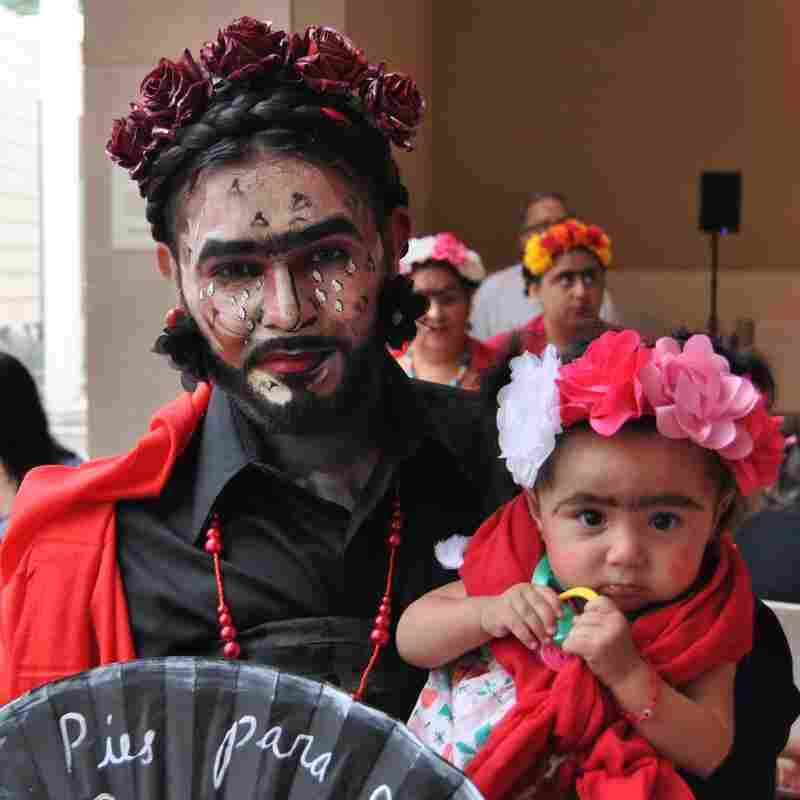 Marco Saucedo and his niece Anna Mata were among the hundreds of Frida fans participating in a Guinness World Records attempt for the most people dressed as the Mexican artist. 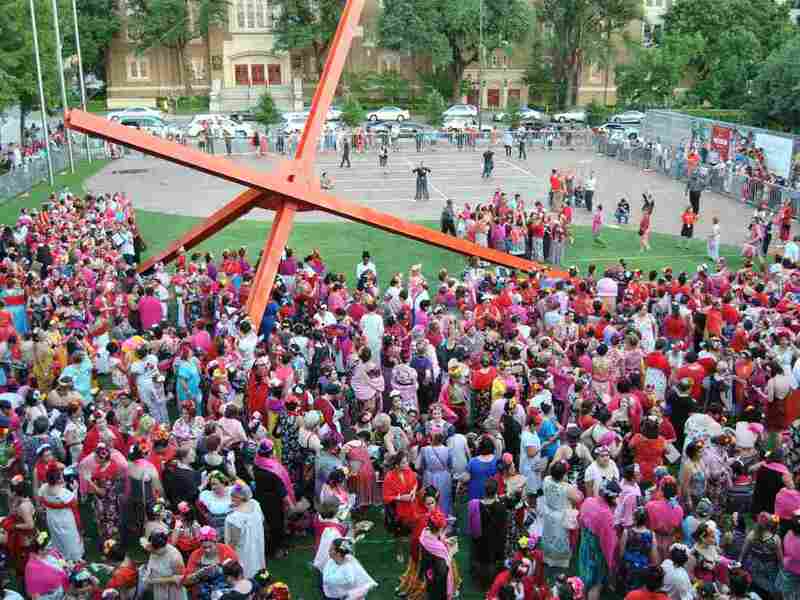 Hundreds of people came together at the Dallas Museum of Art Thursday night, in an attempt to set the record for the largest gathering ever of people dressed like Mexican artist Frida Kahlo. Her work is on display at the museum as part of a wildly popular exhibit that also features paintings by Mexican artists Diego Rivera and Jose Clemente Orozco. The exhibit is among the museum's top 10 most successful since 2000, according to the Dallas Morning News, with more than 75,000 visitors as of mid-June. Thursday would have marked the influential artist's 110th birthday, but she died in 1954. Kahlo's likeness is known by many who otherwise know nothing about art, as the Star-Telegraph notes, maybe because so many of the iconic pictures she painted were of herself. Frida Kahlo look-alikes were corralled into the southeast courtyard of the Dallas Museum of Art Thursday night. There's no official word yet on whether a record was set, but prior to Thursday, there didn't appear to be another record-holder listed in the Guinness World Records. The exhibit, called "México 1900-1950: Diego Rivera, Frida Kahlo, José Clemente Orozco, and the Avant-Garde," is on display until July 16.